So far we assumed that the employer is working under conditions of competition. Under perfect competition, there are no profits in the long-run. Profits must. therefore, be either temporary or monopoly profits. The monopolist is able to control output so that the price is not allowed to fall to the level of cost, as is the case under competition. By restricting entry of new firms into business by means of agreements and through the use of patent rights and similar devices, monopolists are able to reap monopoly profits. But the most common source of monopoly profits lies in monopolistic competition or product differentiation. 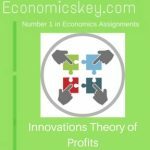 An element of monopoly profits can also be traced in what have been called innovation profits or pioneering profits. 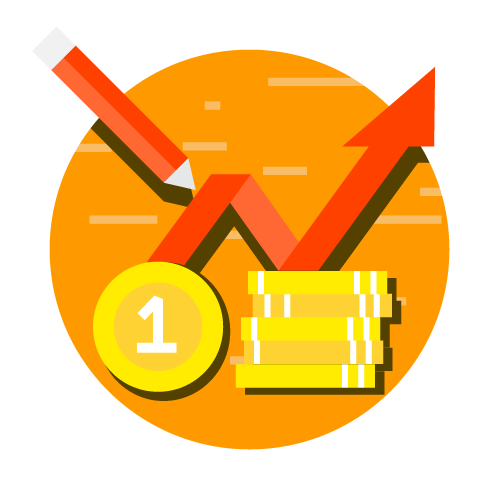 A firm which produces a new product, or is able to discover a new material or a cheap process or a new market, will always be able to make extra gains, till its rivals make an inroad into its business. Since competition is absent, partially or totally, gains arising out of innovation or pioneering may be termed as monopoly gains. In the actual world. the typical cases are of imperfect competition, since absolute monopoly is rate. And, therefore, the element of monopoly gains is not as rare as one would think. In fact, monopoly element will be found almost in all profits. 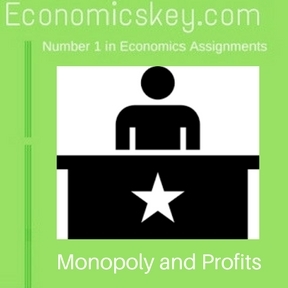 A monopolist is able to make profits both in static and dynamic conditions. He is able to so fix the price of the product that he may make substantial profits by exercising his monopoly power. In order to make prof- its he raises the price by restricting the level of his output. Monopoly is a matter of degree only. Monopoly power is exercised by a pure monopolist who produces a product which has no close substitute. Monopoly is also exercised, though to a somewhat lesser extent, hy firms under monopolistic competition and oligopoly as mentioned above. Under various categories of imperfect competition, we know that the demand curve slopes downwards. Hence monopoly’s associated with a downward sloping demand curve. 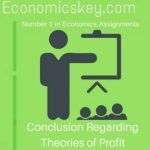 Since the demand curve under conditions of pure monopoly, monopolistic competition and oligopoly slopes downwards, firm’s equilibrium (i.e. 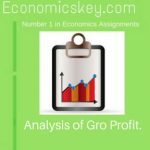 equality between marginal revenue and marginal cost) is achieved at a price which is higher than the marginal cost of production. Also, the price so determined is often higher than the average cost of production which, therefore, yields positive profits to the firm enjoying monopoly power. Since there is strong resistance to the entry of new firms into the industry, the firms working under the monopoly or monopolistic competition continue to make super normal. profits even in the long-run. Even under monopolistic competition, owing to product differentiation, entry into the industry by new firms is not wholly free since product differentiation gives a firm a ce~n degree of monopoly power so that it can set own price. No new firm can produce exactly the same product as that of the existing firms, Since the entry of new firms is restricted, demand does not fall, even in the long run, to the tang ency position with average cost curve. The result is that entrepreneurs working under monopolistic competition continue to enjoy positive profits by virtue of their monopoly power. .